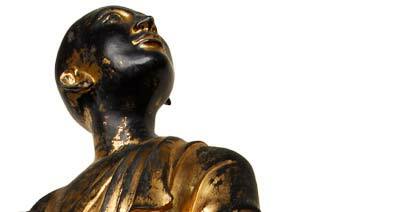 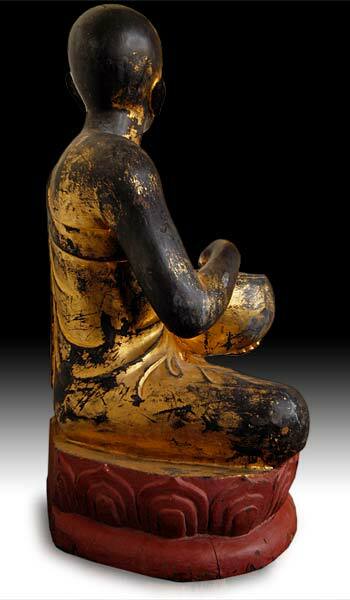 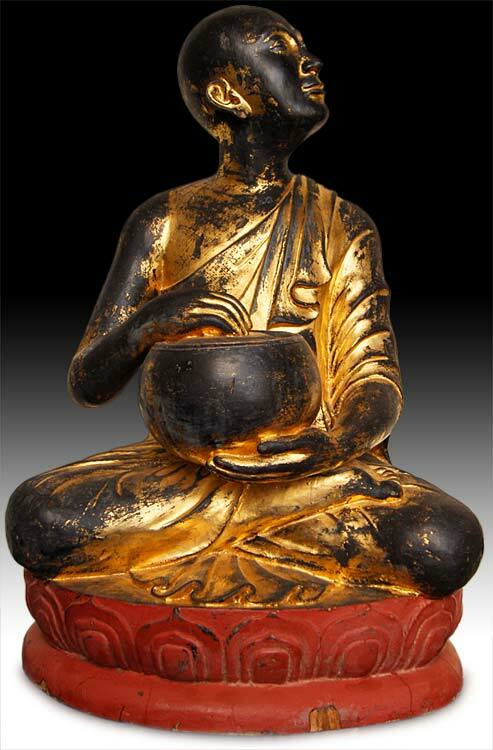 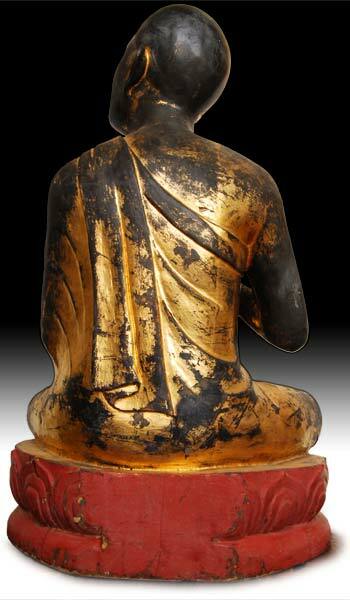 A large and sumptuously gilded Thai statue of a Buddhist master with a medicine bowl; the rounded forms and lyrical linear elements in accord with the inquiring and gentle expression of the monk. 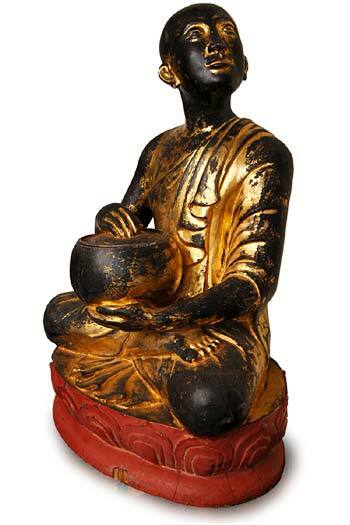 Buddhist sculptures occasionally found depicting particular monks and well known masters; the impressive size of this piece may indicate that it is a portrait of a specific person. 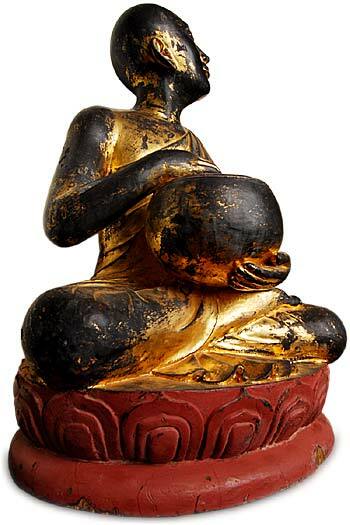 The figure sits in full lotus posture, wearing a simple garment draped from his left shoulder and falling in graceful folds to the lotus base which is painted in red lacquer. 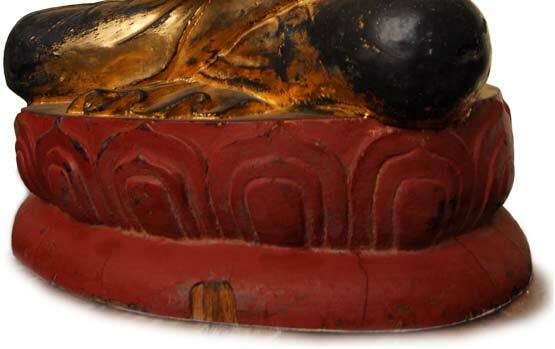 Much of the original gilding is in place over a richly applied black lacquer base, providing a handsome contrast in the worn areas and bringing a quality of light to the face.